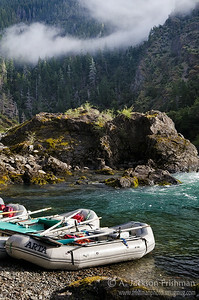 A little-known whitewater gem in southwestern Oregon's Coast Range: turquoise water, endemic flowers, abundant waterfalls, carnivorous plants and 135 rapids in 35 miles. 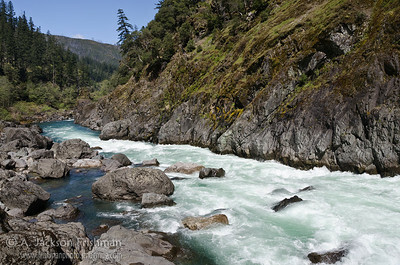 Klondike Creek meets the Illinois River in Oregon's Kalmiopsis Wilderness, April 2011. 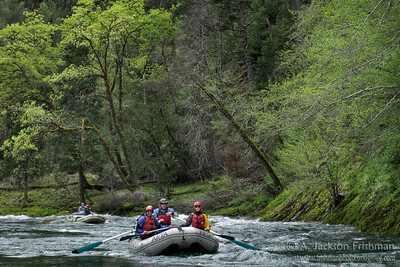 Spring green rafting on Oregon's Illinois river, April 2011. 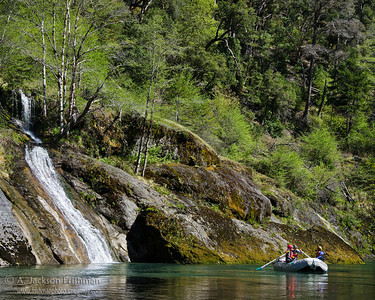 Raft and waterfall on Oregon's Illinois River, April 2011. 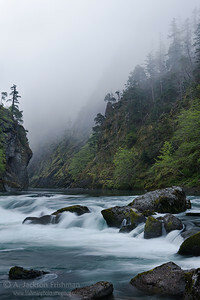 Morning mist above the Illinois River, Kalmiopsis Wilderness, Oregon, April 2011. 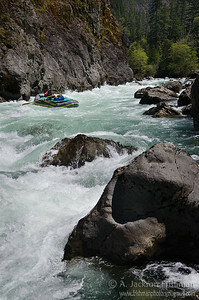 Greenwall Rapid, viewed from the scout, Illinois River, Oregon, April 2011. 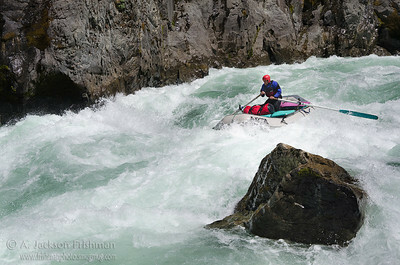 Thad Stavn on a sweet line in Greenwall, Illinois River, Oregon, April 2011. 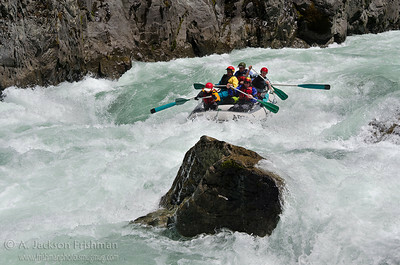 Steve Welch and Crew in the gut of Greenwall Rapid, Illinois River, Oregon, April 2011. 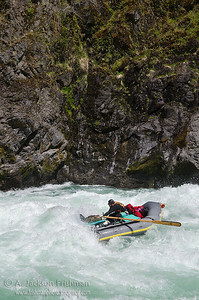 Nolan Verga slides over the upper drop in Greenwall, Illinois River, Oregon, April 2011. 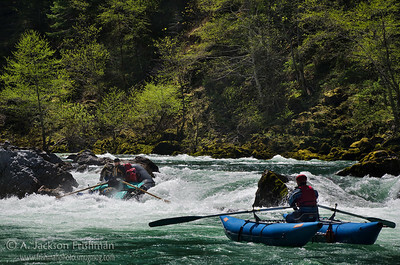 Nolan Verga in Greenwall Rapid, Illinois River, Oregon, April 2011. 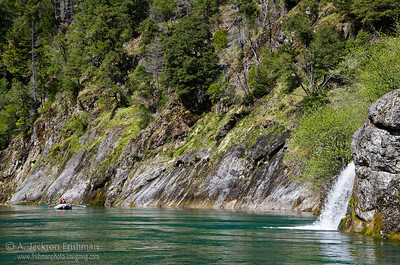 Nolan Verga hits the bottom hole in Greenwall on Oregon's Illinois River, April 2011. 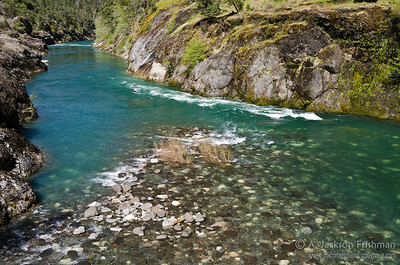 The Illinois flowing clear and green through Oregon's Kalmiopsis Wilderness, April 2011. 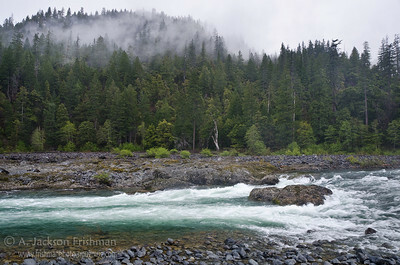 Rafts and morning mist at Klondike Creek, Kalmiopsis Wilderness, Oregon, April 2011. 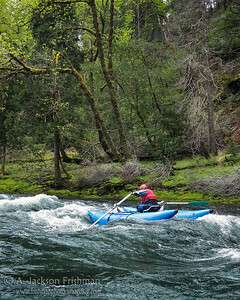 Nolan Verga in York Creek Rapid on Oregon's Illinois River, April 2011. 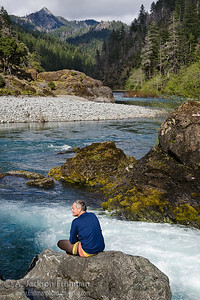 Enjoying the river view at Klondike Creek in Oregon's Kalmiopsis Wilderness, April 2011. 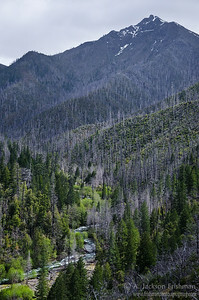 Unnamed peak above Klondike Creek, Kalmiopsis Wilderness, Oregon, April, 2011. 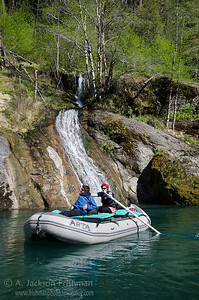 Rafts and spring leaves in Oregon's Kalmiopsis Wilderness, April 2011. 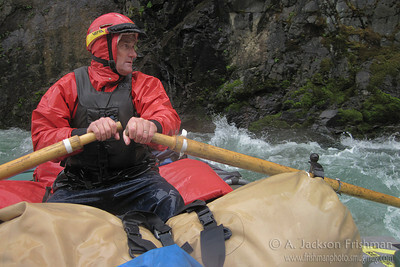 Harvey Young at the oars on Oregon's Illinois River, April 2011. 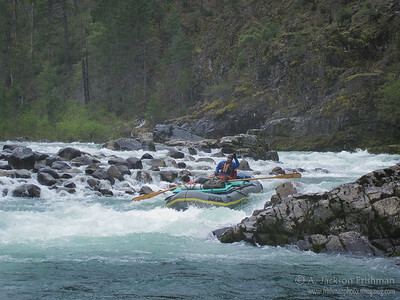 Prelude Rapid on Oregon's Illinois River, April 2011. 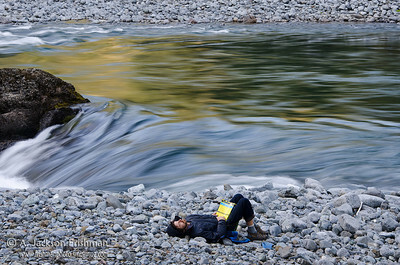 The Greenwall scout eddy, a beautiful but anxious place. 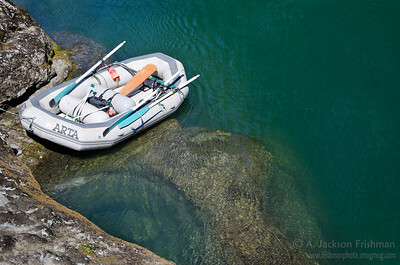 Time for rest on Oregon's Illinois River, April 2011. 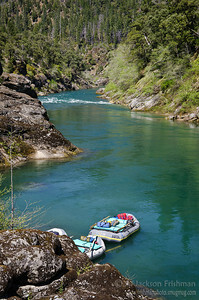 Rafting in paradise, Illinois River, Oregon, April 2011. 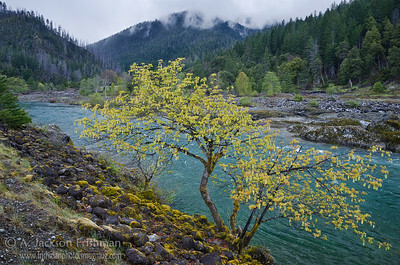 Spring growth along the Illinois River, Kalmiopsis Wilderness, Oregon, April 2011. Morning mist above the Boat Eater, a.k.a. Pine Flat Rapid, Illinois River, Oregon, April 2011. 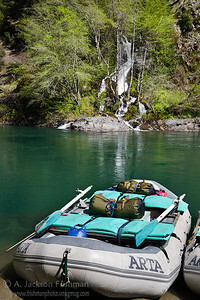 Spring green, waterfall and raft on Oregon's Illinois River, April 2011. 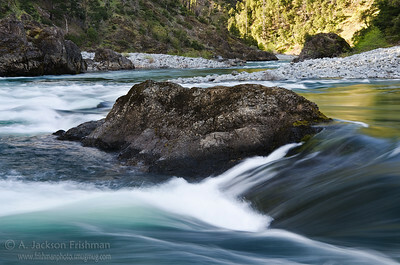 Stone and flowing water, Kalmiopsis Wilderness, Oregon, April 2011. 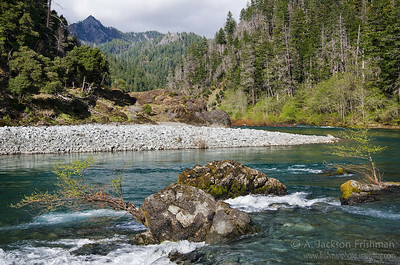 A peaceful stretch of the Illinois River in Oregon's Kalmiopsis Wilderness, April 2011. 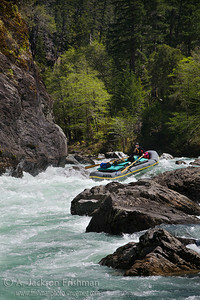 Greenwater rafting, Illinois River, Oregon, April 2011.